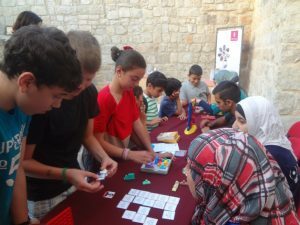 Taking a bold step towards the future, al-Nayzak Organization for Supportive Education and Scientific Innovation opened Palestine’s first Science House in June 2013, as part of the Rozana Association’s transformation of Birzeit’s Old City. Since that time the House has introduced thousands of students – from ages 5 to 100 – to the latest achievements in science and technology. Using a hands-on, interactive educational strategy, this innovative methodology motivates the learner to become an active participant in the learning process. Intellectual curiosity is piqued as the “scholars” experience the physical interactions and see the results of their experimentation. In this way the “scientific method” becomes ingrained in their thinking. A major goal of this project is to connect scientific theory to the workings of things in everyday life such as the mobile ‘phone which depends for its operation on microwaves. Telecommunications displays will divulge the secrets of cell telephone technology, including electromagnetic radiation, mobile control and remote control technology. The Physics exhibits answer questions such as “why don’t airplanes fall out of the sky?” There is a Scientific Garden, a Robotics Laboratory, and, consistent with Rozana’s emphasis on community involvement, a Multi-purpose Room for use by the community. 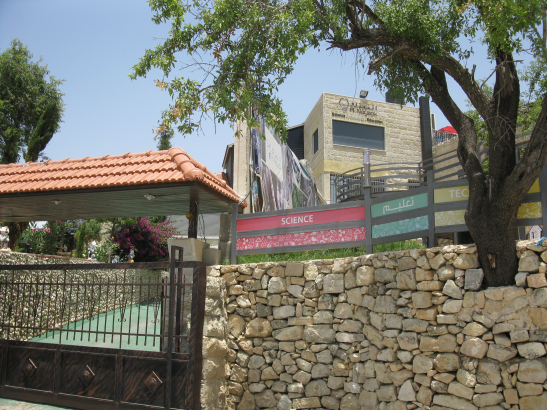 The Saadeh Science House is the result of successful and ongoing collaboration by many parties: the Birzeit Pharmaceutical Company sponsors the Chemistry and Medicine sections, Jawwal sponsors Telecommunications, the Rozana Association has led restoration of the historic center of Birzeit, and the Saadeh family which owns the several buildings comprising the House site. H.E. Dr. Sabri Saidam, speaking on behalf of H.E. Mr. President Mahmoud Abbas at the opening ceremony, predicted that the Saadeh Science House is “the first seed” for the establishment of a Palestinian National Science Museum.